Truth be told ... we do not spend much time contemplating that dilemma. Every piece that comes out of our shop has some form of a finish on it. Whether dipped in an interior grade woodworking stain or finished in our three-step distressed paint finish, all of our projects undergo treatment to refine and protect the soft wood reed fibers. 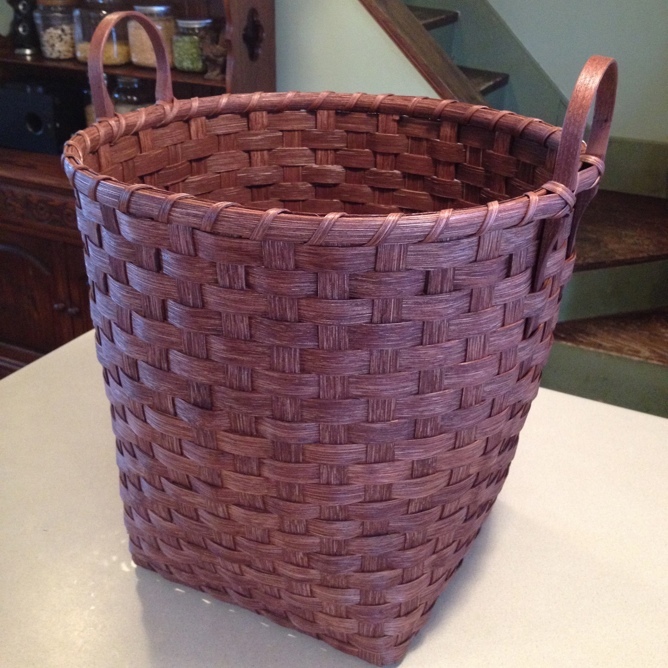 Not only does a quality finish preserve the basket but it also creates a great patina for each individual piece. Wooden Bottom Toy Basket - after “finish”. 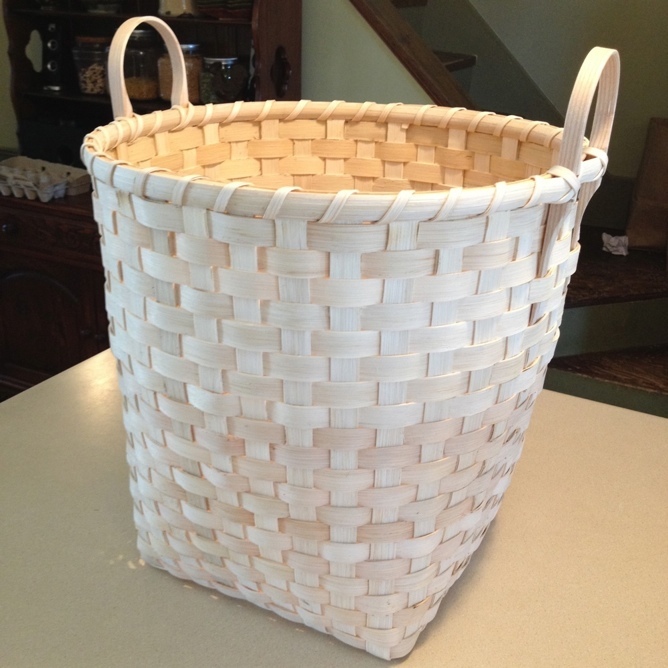 I have been weaving for a lot of years and, to me, a basket just doesn’t look finished until it has some kind of stain or finish on it. I don’t like the looks of the pale reed. Kind of like the basket is “naked” until you give it some finishing.